We’ve only got a few days left before we head for Toronto and TBEX, so we wanted to take a moment to highlight just how awesome our list of sponsors is this year. 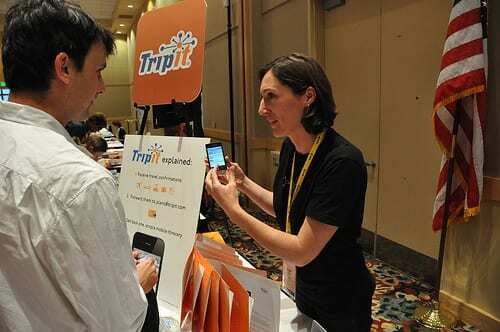 We have 120 companies on board ready and eager to meet with travel bloggers! Starting with our Global Partner Expedia and our hosts Toronto, Ontario, and the Canadian Tourism Commission, we are thrilled at their support of new media and overwhelmed by how excited they are to network, do business with, and learn from the TBEX community. Among the 120 companies, there are 62 destinations, 21 technology companies, 19 tour companies, 25 travel service/product companies, 14 companies involved with providing accommodation… And that’s just the beginning. Here’s a list of who bloggers and industry professionals will be meeting with in Toronto, in alphabetical order. You can find out more about each and every one of these companies from their profiles in the Blogger Bridge system. Will we see you at TBEX Toronto along with all these great companies? There’s still time to register! We’re looking forward to meeting everyone at TBEX! Looking forward to meeting with you and the rest of the sponsors as well, Sharon! Is it possible that these will be divided into different sections (eg: hotels, travel agencies, adventure travel, resorts, or something along those lines)? This is just an overview list; all the profiles for these companies are in Blogger Bridge, where you can do searches for certain keywords to find resorts, adventure, etc. We look forward to seeing everyone at TBEX! Please stop by our table in the EXPO area to pick up a free luggage spotter and find out about our great affiliate program and other benefits of partnering with us. Woo hoo. Some great people out there! Tons more added since the first time I took a peek at BloggerBridge. Going to be a full, fun and informative weekend! As a productive writer, I was travelling ion assignment in Europe during the blast for marketplace appointments, if you are interested in meeting me, contact me @tobysaltzman or via e-mail.